People who are affected by hearing loss often have difficulties detecting and accepting this fact. 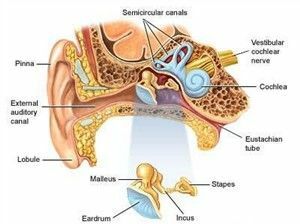 The reduction of the ear’s functions usually develops over many years, which is why it takes time to detect the symptoms. How can you test yourself? Are you familiar with the following situations? Do you avoid parties and social events because there is too much noise or you can’t hear what people are saying? Do you often have trouble understanding a conversation when there is a background noise or other people are talking at the same time? Are you no longer able to hear every day sounds such as the wind in the trees, footsteps or the sound of water? Do you often feel that other people are mumbling or speaking unclearly? If you have answered yes to one or several of these questions, you should have your hearing tested. If you are wearing hearing aids and answering yes, we need to hear from you as well. When describing hearing loss, we generally look at 3 attributes: type of hearing loss, degree of hearing loss, and the configuration of the hearing loss. Hearing loss can be categorized by where or what part of the auditory system is damaged. There are 3 basic types of hearing loss: conductive hearing loss, sensorineural hearing loss, and mixed hearing loss. Unilateral hearing loss (UHL) means that hearing is normal in one ear, but there is hearing loss in the other ear. The hearing loss can range from mild to very severe. Approximately 1 out of 1000 children is born with UHL. Unilateral hearing loss can occur in both adults and children. Nearly 3% of school-aged children have UHL. Children with UHL are at a higher risk for having academic, speech/language and social/emotional difficulties than their normal hearing peers. Some children with UHL experience these difficulties but others do not.